CES 2018 officially opened its doors today and we were inside. 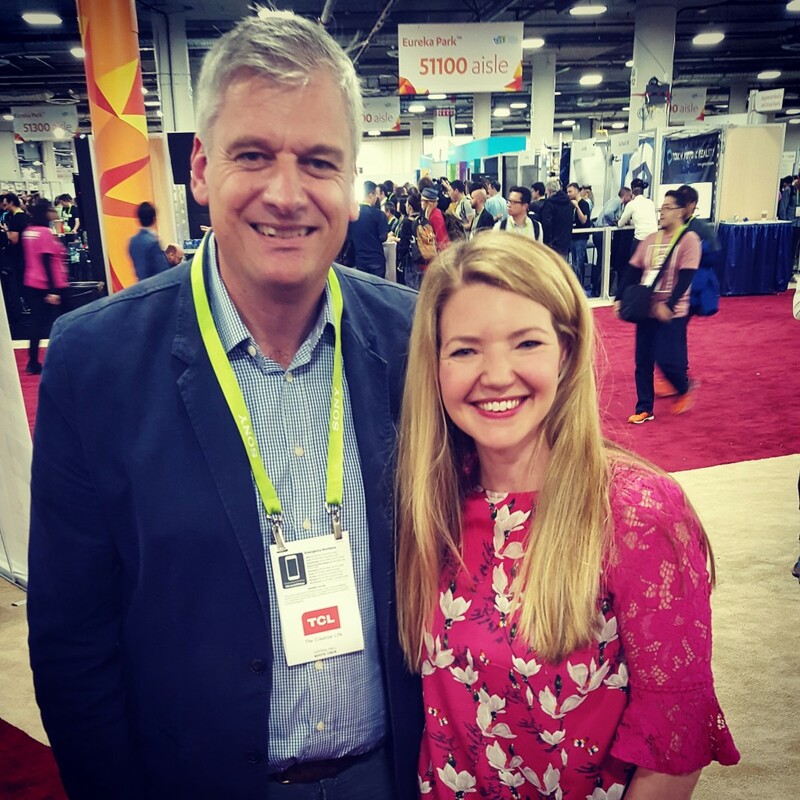 As you can imagine, with circa 4000 exhibitors there is a LOT to see and much ground to cover (we are talking multiple locations across Las Vegas- I have smashed my 10,000 steps today). Today I visited the Convention Centre (where the bulk of exhibitors are located) and Eureka Park (where the start-ups are mostly based). I always get especially excited about Eureka Park because it gives fledgling companies a platform to show-off their weird and wonderful gadgets. So speaking of gadgets – here are the devices that caught my eye today. 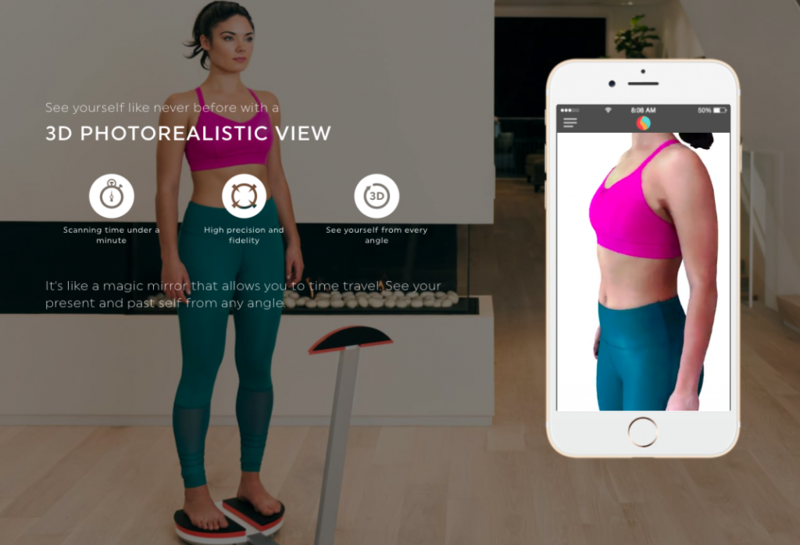 Shape Scale – this is a body scanner that assesses your body in under a minute and creates a virtual replica of your body on an App – highlighting where you store fat and muscle and giving precise measurements. As your body changes – your progress is highly visible on the App (even if you can’t detect it with your own eyes) – super motivating if you have body-changing goals in mind. Foldimate – say goodbye to folding your clothes as Foldimate will do it all for you. 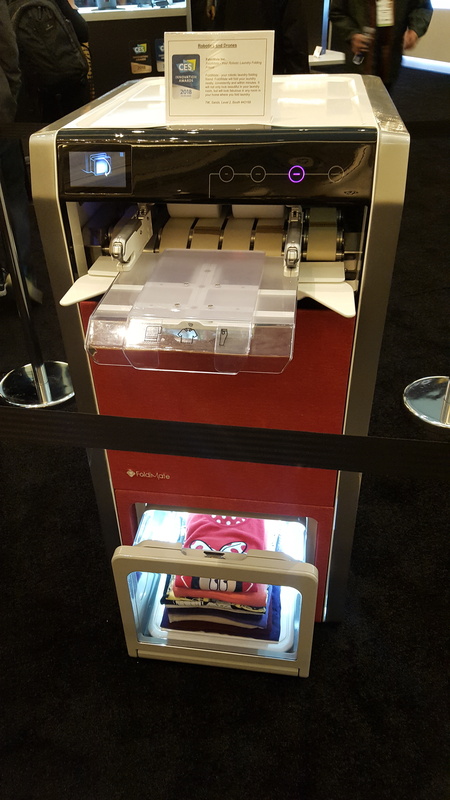 Feed your clothes into the machine (basically like a fax) and then it will gently place your clothes in a folded pile. 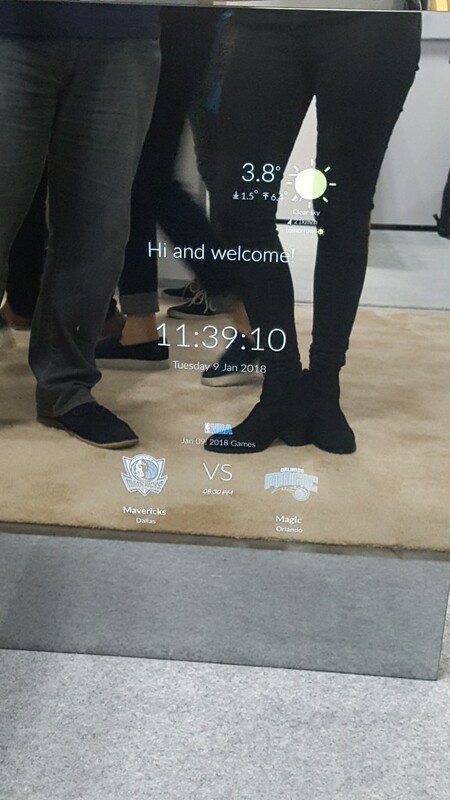 Smart Mirror – a mirror that has a secret sensor to detect when you are in front of it. When you are checking out your reflection it will also display customised information of your choosing – like the weather, your social media alerts. You can fully customise what alerts to display and when you want to see them on the accompanying app. 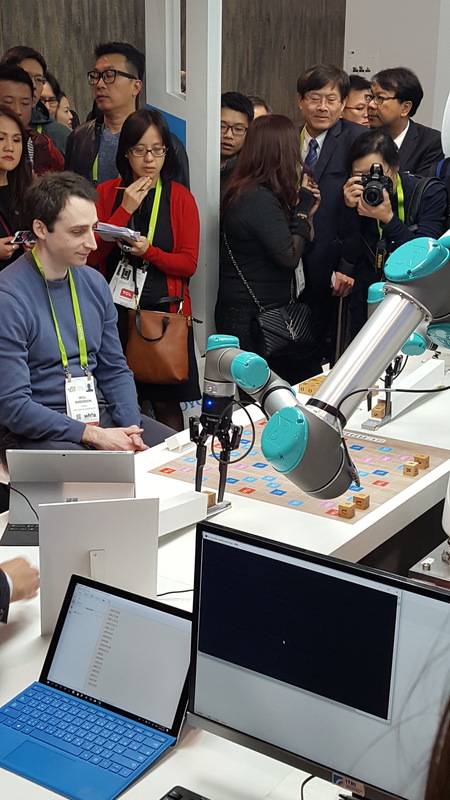 ITRI showcased its clever robotics offering with a scrabble competition against 2017’s North American Scrabble Champ – Will Anderson. It showed-off the robot’s vision system and machine learning – and was great fun to watch. Other lovely bits of tech worth mentioning include the Garmin Forerunner 645 Music (a GPS running watch with integrated music and Garmin Pay contactless payments) and the collaboration between Monster and Volkswagen in Concept R (a sporty wagon outfitted with Pure Monster Sound). Oh and I also managed to squeeze in a tech chat with the lovely Greg Milam from Sky News – you can see that on Thursday on Sky’s Swipe. A busy day indeed – more tomorrow.